Buyers Info: I strongly suggest you do not purchase anything from a party that will not provide you their phone number. I suggest asking them to ring your phone while you are meeting, then you have the number and know the number is correct. Meeting a person to make a deal in a neutral location may seem reasonable, but if you don’t know where they live, and you don’t have their phone number, you may have no recourse if the item proves defective. LET THE BUYER BEWARE! DELAYED: Flamenco Series in Malagalingo delayed to the month of May. Our teacher Alicia Rojo will be very busy this April with performances, including her performance on Saturday the 13th at the Teatro de Torrox, of which we attach a poster. And it is for this reason that she has asked us to delay the Flamenco cycle in Malagalingo until the month of May. Thank you all and we look forward you in May. Until then, if you like what you see consider taking the next step with Malagalingo classes: Every Wednesday and Friday we have single conversation lessons for €5 in a relaxed and fun atmosphere, and on our outdoor terrace when the weather is nice, from 10:00 to 11:00 for the initial level and 11:00 to 12:00 for intermediate level. -Friday 12th Discussion 10.30am Café Bar Los Juanes, Torre del Mar (opp the police station) – please note new stat time. Nerja Balcon Music: Any readers wanting to know the April programme should send me an email. Please note that it is subject to change due to weather, other commitments etc. Yoga in Torrox Pueblo: Get a nice tan while practicing gentle Yoga in the fresh air under the sun. Every Tuesday from 5pm to 6pm at the swimming pool’s garden. Plenty of parking, mixed group. -1 Golf Bag containing a Calaway Diablo Driver plus 2 Calaway fairway woods, set Taylor Made Burner irons, putters etc: plus a carrying bag. 1 Golf bag containing: Boss Driver plus 2 Boss fairway woods, set Wilson Di5 irons, putters etc., all for €150.00. -Two sofas, finished in a darkish orange coloured corduroy fabric. Zip off covers. Good clean condition. The three seater is 184cms long x 90 deep x 102 high.The two seater is 160cms long x 90 deep x 102 high. Bought from F Olmo in Velez. Price €100 for the pair. More photos on request, I can help load the furniture into your transport. -XXL plant pots ideal for a fruit tree or an olive tree. Measures 77cm in Diametre and 50cm tall. as new. 20 euros each. 10 available. -Fishing rod 4,5m 20 euros and reel 20 euros. More pictures available just ask me. All for 50 euros. Location Torrox. For Sale: Pottery Kiln. Hi there potheads! For all you pottery lovers, now you can finally get your own kiln! Up for an absolute bargain of 400 euros, this super fancy Pluton 6K 200 litres made by Tecno-piro. Interior measurements 620mm diameter 690mm height. Exterior 780mm x 815mm. It’s top temperature is 1100 centigrade, 7 years old. Go on, you know you want to, more pics on request. Wanted: Pool Cover. I was wondering if any Digamites out there had a pool cover surplus to requirements that they would be happy to sell. Pool Measures 3.60m x 7.50m Pool Measurement to include edging slabs 4.50m x 8m. Wanted: I am searching for a 6kg Repsol butane gas cylinder and wondered if any subscriber had one that they wished to sell? I live in Cómpeta but can travel to collect. Kitty Harri’s Sculpture Garden – Open Sunday: Whatever the weather we’ll be welcoming visitors as usual this Sunday. Constantly changing – there’s always something new! Bring your umbrella but it’s unlikely you’ll need it, but possibly a bit windy in the afternoon. As ever, there’ll be live Chamber Music to accompany your enjoyment of our multitude of sculptures and lush tropical garden. Despite the lack of rainfall the Valle Verde is currently at its greenest! Just 20 minutes north of Almuñécar. Open 10 – 4. -Sunday Roast €5.50. Served 2pm till late. Choice of Beef (with horseradish), Chicken, Pork or Gammon with at least 3 fresh vegetables, roast potatoes, Yorkshires and gravy boat. Best Sunday Roast deal on the coast! Car Boot/Market. Sunday 7th April: The regular “1st Sunday of the month” Car Boot sale/market at El Pantano Restaurant car park, (overlooking Lake Vinuela) is celebrating its 10th anniversary this month. 10 successful years and still as popular as ever. Why not join us on Sunday 7th April 9.30am to 1.pm. Easy to find on the A356 towards Colmenar. Drive over the bridge crossing Lake Vinuela and the car park/bar is just ahead on the right hand side. Plenty of parking. There are always bargains galore,old and new. – Always a good selection of D.I.Y. tools. – Lots of local grown fruit and veg. Enjoy a morning browsing and picking up a few bargains at this popular monthly market, which attracts visitors from far and near. A super location. The restaurant has shaded terraces overlooking the lake and many customers sit and enjoy a coffee or a tapa and a drink and catch up with friends and acquaintances for a chat. Many even stay and choose lunch from the varied menu available. The Bandits: We will be performing live at Restaurante Maria at the Hotel Balcon in Competa on Sunday afternoon from 2.00pm. To reserve a table call 952 553 662. Sunday Lunch: Menu Of 3 Courses: Roast Beef & Paella On Sundays, from 13.00h at the Terrace. Restaurant in the Evenings, except Friday & Saturday, will be closed if we do not have any Reservation, so please reserve before 16.00h every day, to have dinner in our Restaurant. -Dumbo – Dir. Tim Burton. With Colin Farrell, Eva Green. Sat/Sun 12:20; Mon/Tue/Thu 16:45, 19:05, 21:20. -Shazam – Dir. David F Sandberg. With Zachary Levi, Mark Strong. Mon/Tue/Thu 17:00, 19:40, 22:20. -Pet Sematary – Dir. Kevin Kolsch. With John Lithgow, Amy Seimetz. Tue 18:00, 20:15, 22:30. -Captain Marvel – Dir. Anna Boden. With Brie Larson, Jude Law. Tue 18:35, 21:10. Animal quiz at La Tasca: The next Axarquia animal rescue quiz is on Wednesday 10th at 3pm. All proceeds go to help the animals. And there is a raffle. La Tasca cafetería is in Torre del Mar located across from the Police station. Please call in or ring us on 640328051 or 640569988 to reserve a table. At long last we now take payment by card as well. Friday’s are still fish+chip days. Services Wanted: Person with grouting experience!! I am looking for somebody to help me finish the final grouting of my pool, all clean and ready with the old grout in pretty good condition. Should be 1 days work so offering €80 for the day. There may be other days work for spring clean in the garden, terraces etc as well. 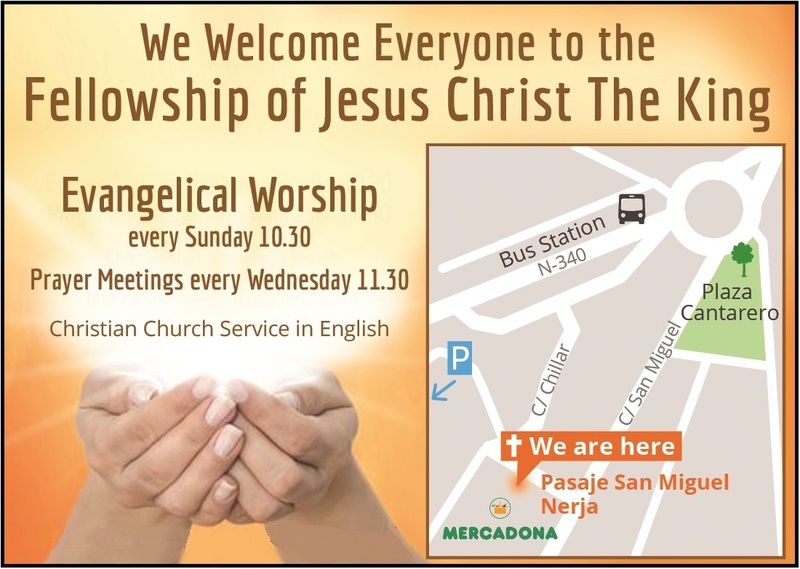 On the Nerja to Frigiliana road and lunch will be provided! John Hardy will be selling signed copies of his books at the Royal British Legion Easter fair on Saturday 6th April 10-2 at Restaurante Trapiche. He will have copies of the recently published book ‘Driven by Conflict’, a collection of stories about people involved in conflicts of many and various kinds, from the domestic to the international. Some of the stories are bleak, as stories of war and hostilities often are, whilst others are much lighter and even of a humorous nature. Many of them are romances and love stories. The conflicts and wars which are behind the stories range in time from 1000 BC up until the present day. They take place mainly in Europe and the Middle East and the majority are events that involve Great Britain, Spain and Israel, and the hostilities that they were involved in. All his other books will also be available, including books of short stories of crime and mystery, some set in the Axarquía. Some of these have been translated into Spanish and German. For Sale: Lazy Spa Vegas Inflatable Hot Tub. 2 m diameter. Heats up to 40 degrees. Can be seen working. For Sale: Heavy duty trolley. Has been used to move plants etc. around patio. As i now live in apartment its no longer required. Dimensions—90 cm wide x 80 cm high x 40 cm deep. New castors fitted and has adjustable shelves. Action for Animals Quiz: It’s only a week until April’s quiz, so round up a few friends and book your table. The place: Bar Cerezo in Canillas de Albaida. The time : 8pm. It costs €2.50 per person, teams of up to four members please. email: meganfurniss1 AT gmail DOT com, or call into the charity shop in Cómpeta on Friday or Saturday. We already have several tables booked, so don’t delay if you want to join us for a fun evening and help local animals at the same time. The Phoenix club is based in Torre del Mar. -April 10th – British Consul talk at La Vega 11 am start. It’s that time of the week again so come and join us..
Chine’s do a great mix of Snacks and we normally have lunch at some point…. Move It To Music dance fitness classes: Let’s get this weekend and next off to a joyful start! Boogie on down to Nerja’s Time Sport gym (opposite Iranzo supermarket) and get a spring in your step with these effectively choreographed fun moves set to sing-along pop tunes. Saturday the 6th and 13th of April, 11 am to noon-ish. Bring a bottle of water and come in trainers and something comfy to move around in. Everybody welcome! Carpenter Service: Transform your kitchen with handmade, bespoke doors, etc. Contact Mick: micksworkshop AT hotmail DOT com for all your carpentry needs. For Sale: Large glass and metal patio table, great condition, 182 X 106. 65€. Sylvia/Nerja. FREE: Oranges available suitable for making marmalade etc. Don’t want them to go to waste. Sue/La Vinuela. Wanted: Sofas, corner if possible, preferably leather in good condition? Easter disco and buffet: At Jacks Bar, Torrox Costa on Saturday 20th April 7pm till late. Raffle for loads of Easter eggs and other prizes. Weekly Crochet Group: Do you Crochet? Would you like to learn? Do you fancy having coffee and chatting one morning whilst working? We are a multilingual (English, German, Spanish) group of ladies that meet every week in Algarrobo Costa. (We used to meet in Torre so you might have heard of us) The group has been meeting now for 5 years and more and we would love new members to come along and join us. And if you really don’t fancy Crochet but like to Knit, well come along with that instead. We meet at Ri Jo’s Cafe Bar on the front from around 10-10.30 ish to 12 – 1pm ish every Thursday. Need more information? For Sale: Aluminium ‘A’ frame stepladder with 8 steps. Good condition. €45 ono. Location Caleta de Velez. Buyer collects. Tel: 608 811 828. Ann. -Running Machine. Bollinger up-market running machine. 3 years old. – Computer desk and chair. Well made computer desk and chair, both immaculate 50 euros for both or very near offer. Wanted: iPad. I’m looking for a used iPad, 9.7″ or 10.5″ with Wifi. Minimum configuration otherwise. Nick/Almuñécar. Rolling Stones 2019 Tour Postponed – Mick Jagger to undergo heart valve replacement surgery: LONDON (Reuters) – The Rolling Stones frontman Mick Jagger, 75, is to undergo heart valve replacement surgery this week in New York and is expected to a make a full recovery, U.S. website Drudge Report said on Monday, citing unidentified sources. The group have postponed a tour of the United States and Canada to give Jagger time to receive medical treatment, the veteran rock band said on Saturday. Saturday 6APR – The Flying Dolphins at Casa Grande: 7pm. Nerjas party band no 1 will rock the house at Casa Grande. 17,50 € incl. 1 glass of wine/beer & main course. http://www.casagrandenerja.com bookings@casagrandenerja.com, or at our Facebook page. MENU: Chicken- and vegetable wok with rice and sweet chili sauce. Jardín de la Alpujarra: This gorgeous garden in the high mountains of the Alpujarras – southern slopes of the Sierra Nevada National Park – will be open to visitors again from Friday 7th April and every Friday until July, from 10.00hrs to 18.00hrs. Entrance by donation of €3,50 (suggested). Enjoy a visit to this unique region of the Alpujarras of Granada and take in a garden visit at the same time. In addition we will open on the first Sunday of each month, which means the garden will also be opening its gates on Sunday 7th April. We serve light refreshments whenever we are open, but this Sunday we are also offering a special food event: three course meal of spinach and feta baked in light pastry, followed by pork baked in paprika and molasses with roasted garden vegetables, along with a fruit crumble with homemade ice cream for dessert, all cooked in our large outdoor wood burning oven (with the exception of the ice cream!). Come and see the cooking in action, €20 a head plus entry donation, places must be reserved in advance. Vegetarian and vegan option available if requested. Please contact us using email or number below. Jardín de la Alpujarra, Ctra Atalbéitar 0.2km, 18415 Pórtugos, Granada. 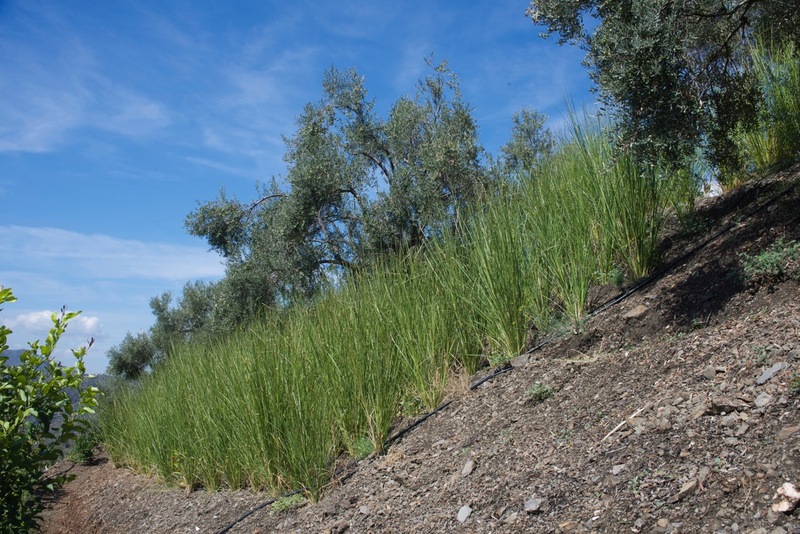 Asociacion Jardín de la Alpujarra is a non profit making organisation. Fran Malpica, Blanca Barranco and Ramón López meet each other in 2018. Together with the project of the bassist Blanca Barranco, they take part in several Andalusian jazz competitions, of which they end up winning the second prize at El Portón del Jazz in Alhaurín de la Torre and the first one Prize in the II Olive Jazz of Jaén. Since then they have acted together with different formations sharing a common interest for jazz. Today you can listen to a repertoire that moves through jazz classics under the guise of entropy and uncertainty. Feria Internacional de los Pueblos Fuengirola, April 30 – May 5: Fuengirola hosts the 25th International People’s Fair, where cultures from 30 different countries will be represented. The Canadian and Estonian federations will join this year’s Feria as new participants. World Class Jazz Club Coming to Malaga? : Randall Kline, founder of top US jazz venue SFJAZZ, currently one of America’s trend-setting musical venues, visits Malaga to support idea for a new jazz venue to replace the old Astoria Cinema on the city’s Plaza de la Merced. Randall Kline launched his San Francisco venue in 2013 and developers from Cordoba invited him to see for himself how they want to build a theatre space below street level, with bars and restaurants above and room for an extension to the Fundación Picasso birthplace foundation. DoctorLaptop’s April Special: Bring in 2 laptops for an annual maintenance Service and get 20% off. Regularly €50 per laptop, now I will do 2 for €80! If you rely on your computer and want it running at peak performance an annual professional servicing is necessary. You wouldn’t drive your car till it runs out of oil before servicing it, would you? I do the most comprehensive cleaning and tune-up possible: verify all System files replacing any found to be corrupt, test all hardware and do hard disk sector repairs if needed, use 5 tool malware/adware/spyware removal protocol, clean out junk files/logs/history/etc., update Windows+all drivers+programs and finally optimize your settings and registry for fastest overall performance. Job usually completed overnight. Heavily infected comps or those showing error messages need a repair, not a maintenance service. Hard disks of 1000Gb or more add €10 and may require 2 days to complete. Computer and tablet repairs, lessons, websites/blogs/forums/SEO, business computer maintenance & security service. DoctorLaptop 675 993 069, no calls answered before 11am, missed calls returned asap. Work Wanted: Hi, I am looking for any work gardening, house-painting and maintenance, no job too small, I charge 10€ per hour and also can offer house-pet sitting for 25 € per night. Which can include taking you to and from the airport in your own vehicle for 20€. Covering Nerja to Benejarafe. Based in Torre del mar. -2 carved Adrian masks on stands Price €40 for the pair. For Sale: Electric Oil Filled Heaters. €15 each. Buyer collects from Caleta. Free to a good home: Free King size mattress (Dorlux) interior sprung, clean and in very good condition. Wanted: I am looking for a working VHS player to enable conversion of my tapes to digital format. Anyone who can help with sale or loan of a player would be appreciated. If loaned I am willing to share my digital conversion kit and software so someone can do the same. Wanted, Rental: 3 bedroom House for Long term rental in Torrox pueblo. Private sunny roof terrace. Easy parking(Feria parking area) 400 euros per month. Close to all amenities and easy access to the house no stairs to climb. Spanish General Election is April 28, 2019: This will be the third vote in four years. Lost Tortoise Competa Campo: Our Tortoise has been missing for over 2 weeks, she escaped from her run, which she has done before, but normally returns. We are located just off the Corker Road. If found please let me know. Thank you Karen. DigameXtra on Facebook Update: OK, so I started from scratch, set up a new email, signed up for a new FB account, set it up and proceeded to add a new DigameXtra page. I was almost done when up pops a message saying there was suspicious activity on my account and I must do an identity confirmation, demanding my mobile number. I was still in my very first session in a brand new account, how is that possible! The same issue blocking me from my old FB account! 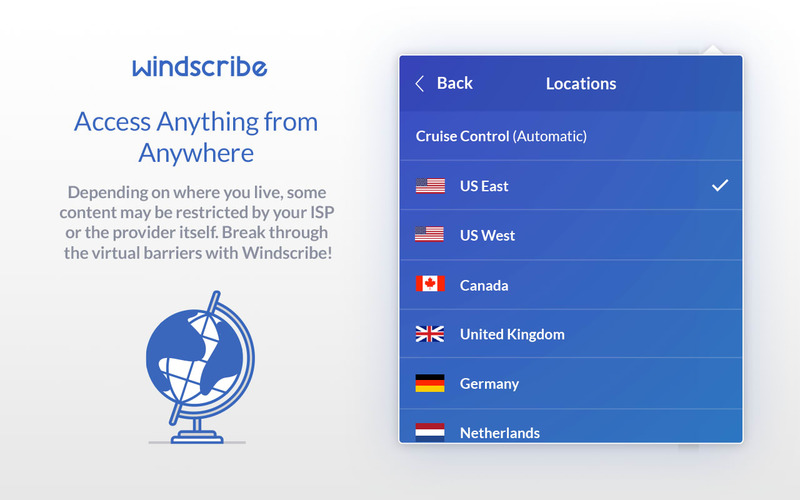 The codes never reach my mobile! So, for now I am giving up on Facebook. 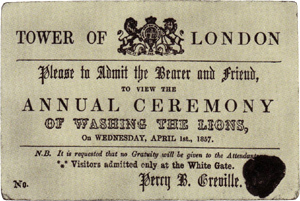 You Are Cordially Invited to the Annual Washing of the Lions, entry at the White Gate only. -Bob Dylan. Saturday 4th May 2019. -Rod Stewart. Wednesday 3rd July 2019. Meat Delivery: To all our customers east of Malaga, our next delivery date will be monday the 8th of april, orders need to be in by this coming Thursday. The following delivery will be on 28th of April, with orders being in by the previous Thursday. We are a Butchers based in Alhuarin el Grande and on request have been delivering to the east of Malaga, Rincon, Velez, Puente, Torrox, Frigliana, Nerja and Competa. Email: yeolbutchery AT gmail DOT com for a list of products. For Sale: Built-in fridge freezer, Balay. 3F17651B. Perfect working order. 75 Euros. There are 4 shelves total. Gas bottles: Someone called Martin has advertised in today’s digamextra the sale of two gas bottles. He is also suggesting that they could be used for a hobby craft by making them into a letter box or barbecue. Unless you know exactly what you are doing, cutting into a gas bottle could easily cause an explosion. Very dangerous suggestion. Physio & Osteopath: Can someone recommend a good Physio and/or a good Osteopath in the Frigiliana area? SOS Animals to Close: Inland dog charity, SOS Animals, is to close in June and is urgently appealing for people who can offer a loving home to any of its dogs. SOS (Spay Our Strays) was founded on the Costa del Sol in 1997 and has been run by a small team of dedicated volunteers and supported by its sister charity, SOS Sweden, and Costa Canine Rescue UK.